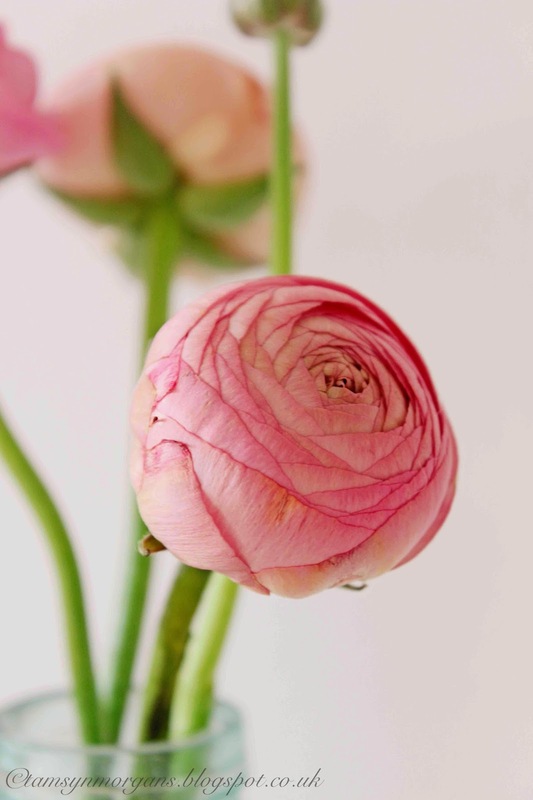 Ranunculus are one of my favourite spring flowers, so when they popped up on my local flower stall, I treated myself to a bunch. 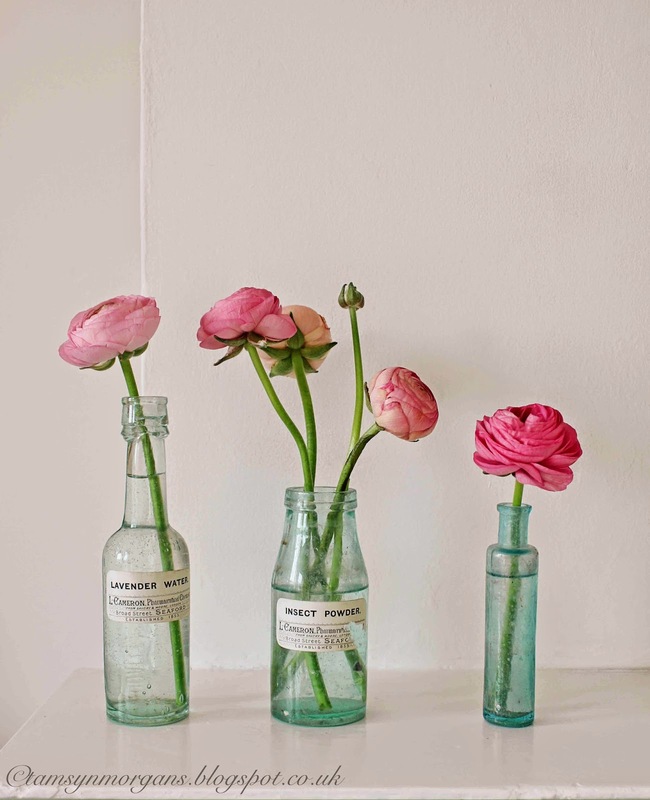 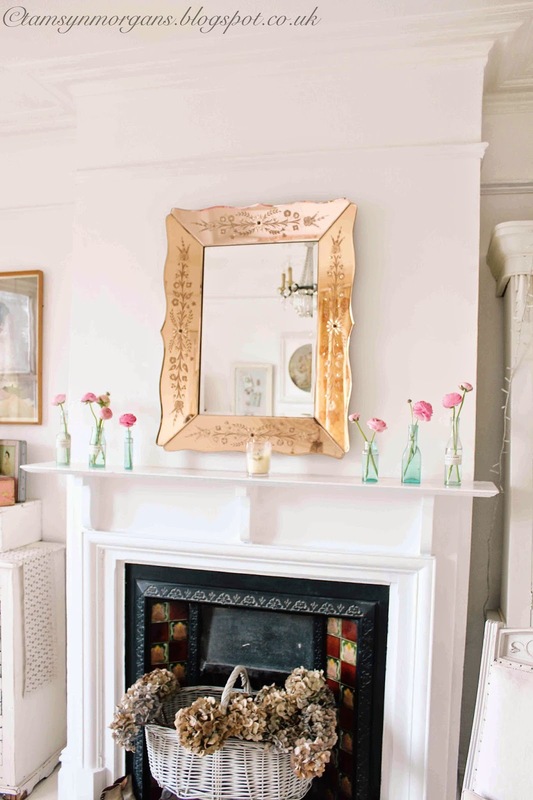 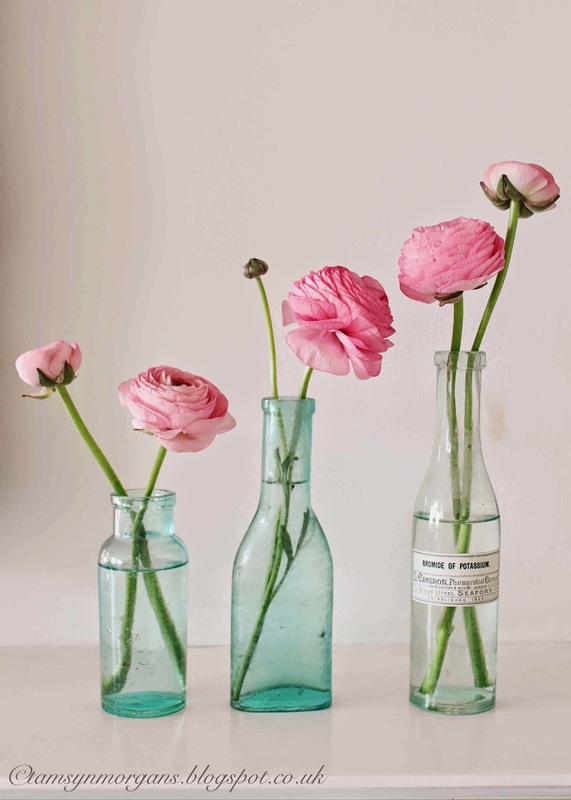 They look so pretty displayed in vintage green bottles, and lined up on a shelf or mantelpiece. 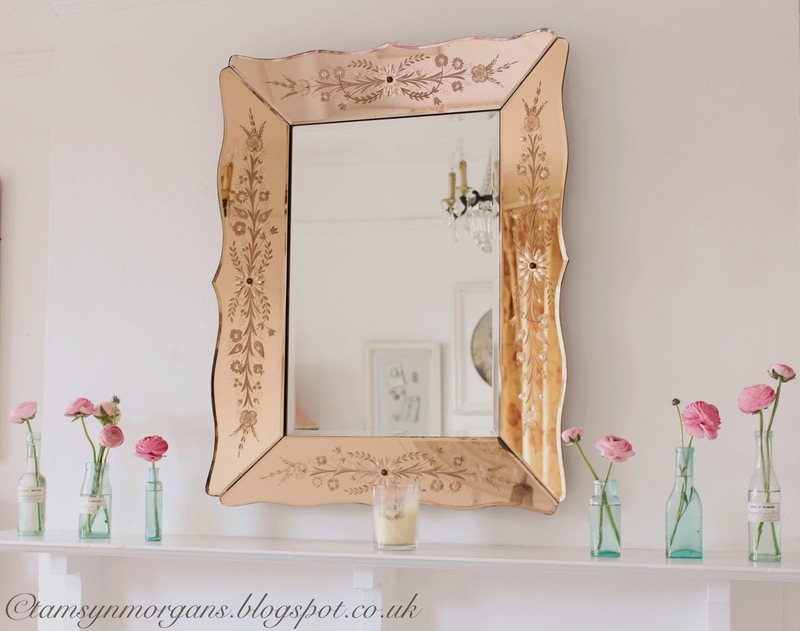 Thank you so much for your lovely comments on my kitchen post, they really brought a smile to my face!